Our production team creates custom videos on any topic you need, filmed on your vessel or at your workplace. Our instructional designers create custom CBTs to match your training requirements on any topic, which includes video filmed at your location and custom assessments. Our animation team brings training scenes to life. For example, the deadly consequences of a line snap-back, the dangers inside a ballast tank, a dramatic collision between a tanker and a ferry. Create a positive first impression with your new hires and ensure required training is delivered efficiently. 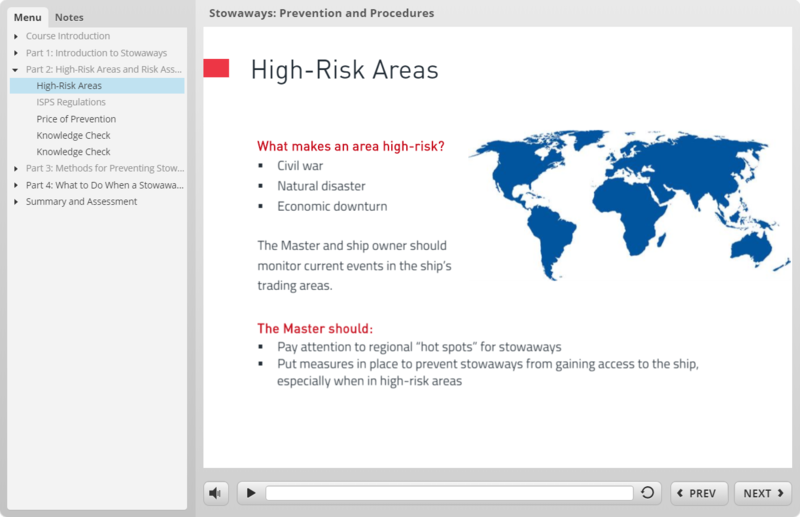 Since 1994, we've been creating custom videos for maritime customers around the world.